Having a kitty in the office can be very relaxing but their constant rubbing on your typing area is not. 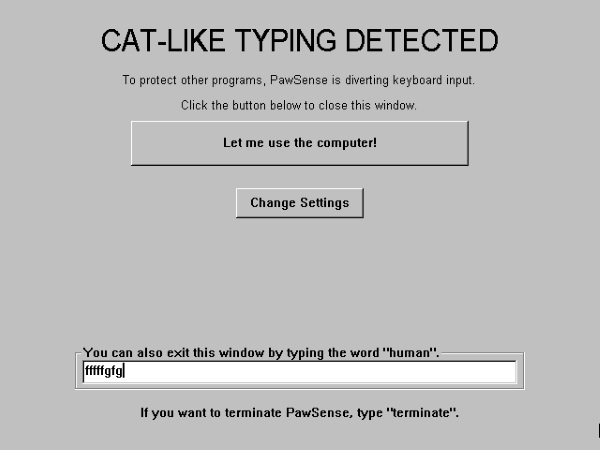 PawSense is software that analyzes how you type so that it can tell the difference between you and well, Fluffy. Meaning, after installation, it will start learning that you generally do not type ten lines of nothing but the letter Z. It starts running in the background as soon as you turn on your computer to protect your work right away. 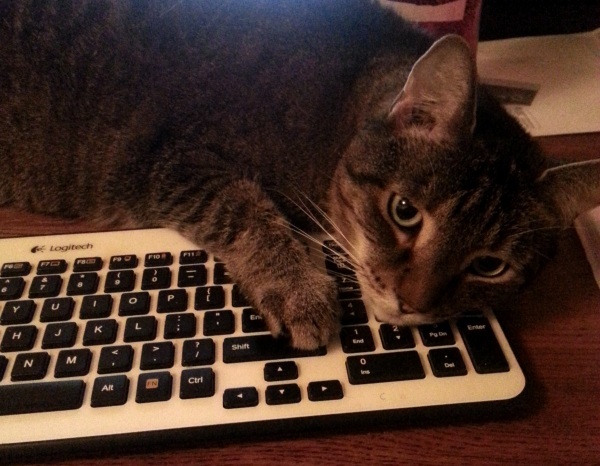 The software even makes noises that annoy the cat to help teach your furry friend to stay away from your keyboard. Once the software knows for certain how the cat’s strokes differ from yours, it will begin to block the kitty made input. PawSense starts at $19.99.